Break out your Junior Woodchuck guidebooks! This episode, guest co-host Claymation Werewolf (a.k.a. 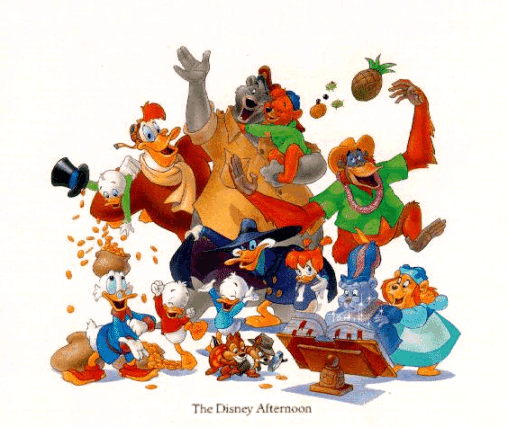 “Rhett Khan”) fills in for Tim Dogg as the crew review the cartoon phenomenon known as “The Disney Afternoon”. Later in the show, J.D., one half of the “General Geekery Cast“, joins in on the fun! Enjoy this classic episode via our free CSP archive! Download, listen and tell a friend (or foe)! Cast your vote in our listeners poll for this episode. 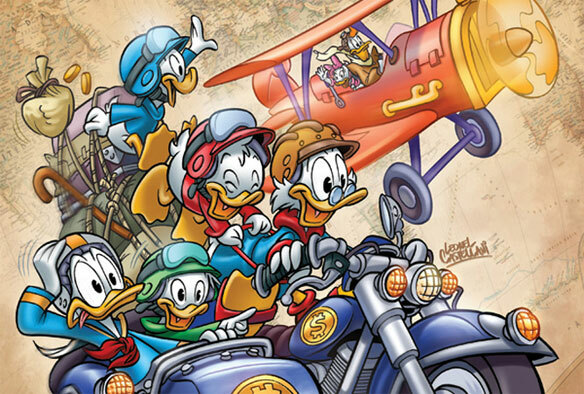 What the hell happened to Huey, Dewey and Louie’s mother? 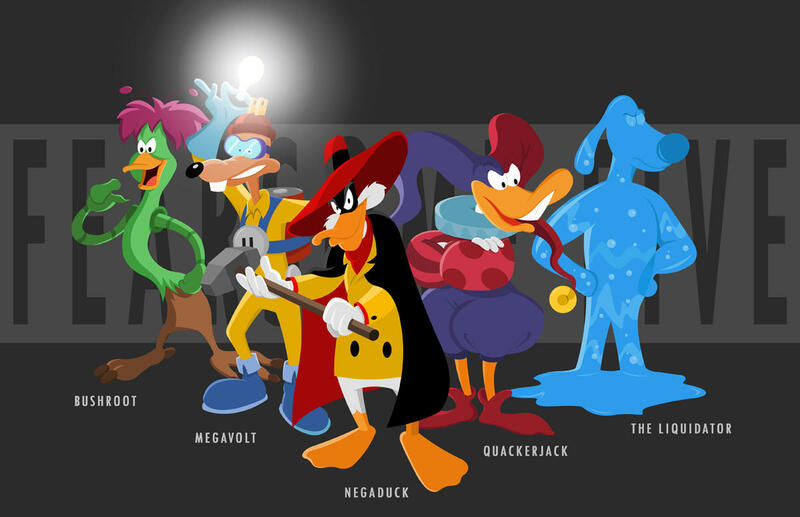 Who was the hottest female character on The Disney Afternoon? Why was Magica Despell so set on stealing Scrooge’s number one dime? Guest host Claymation Werewolf is a highly creative writer and blogger of horror fiction, cartoon mayhem and all-around wackiness. 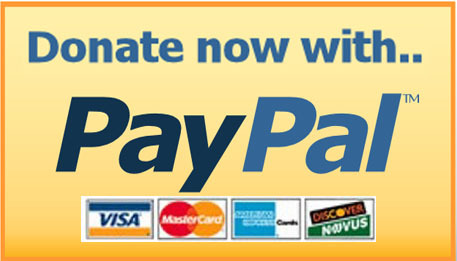 He contributes regularly to the Retroist as well as here on ColdSlitherPodcast.com. You can read more of his work on his very own blog. JD is the co-host of the General Geekery Cast, a weekly podcast discussion of all things geeky, from television shows to movies to cartoons, toys and everything in between. You can listen to the General Geekery Cast on buzzsprout, subscribe to them in the iTunes music store or add them to your favorites station using the Stitcher smart radio app. Follow the brand new official podcast’s @Sharkticon_Pit account on twitter! Guests appear via the Cold Slither Podcast hotline, sponsored this episode by @iwalkless, and Operation Cubicle’s host @shareefjackson! Villains Magica Despell and the Beagle Boys huddle up. 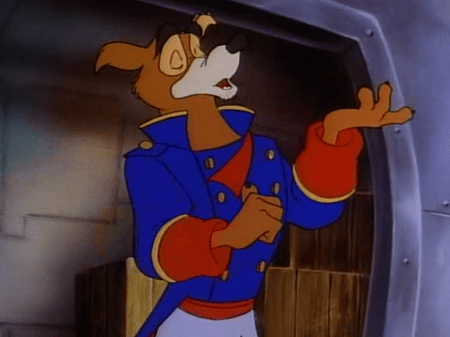 Don Karnage… Sky Pirate Commander. 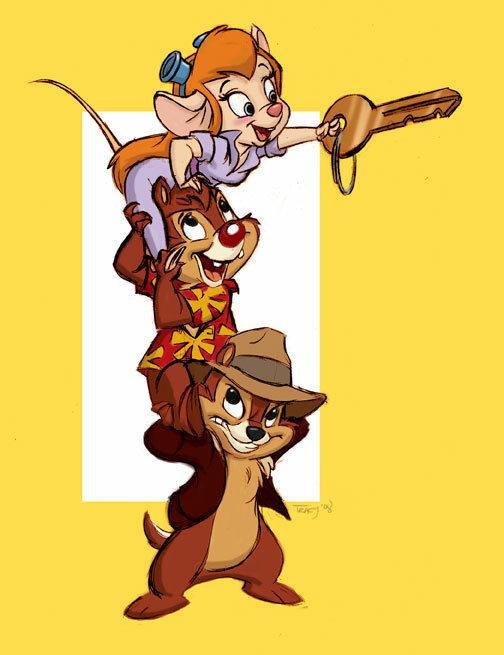 Pop music group The Jets wrote and performed the theme song to Chip and Dale’s Rescue Rangers. Check out this music video from back in 1989!! Be sure to send us your comments and feedback on the show! iTunes store: search for “Cold Slither Podcast” & leave us a review! Previous Post The Fearsome Five Revealed!! Next Post Tube-a-Ruba II: Even more YouTube favorites! Was “Chip and Dale’s Rescue Rangers” the last song by The Jets? It’s extremely catchy, I know that much. The Disney Afternoon had some killer theme songs. Shame on eclectik for throwing shade at Gargoyles, it was one of the better and mature shows of the 90’s. It had long-running story arcs, their characters were allowed grow and we saw their depths, constantly referenced everything from history, Shakespeare, and mythology, touched on serious topics (Racism, the futlity of revenge, etc) without being heavy-handed (keep in mind this was all in the 90’s, where the soft music would start playing whenever there was a “MESSAGE!!!!!! !”), not to mention terrific voice acting, terrific writing, and complex and interesting villains (David Xanatos, Thailog, Demona, Macbeth, the Weird sisters, and Oberon). 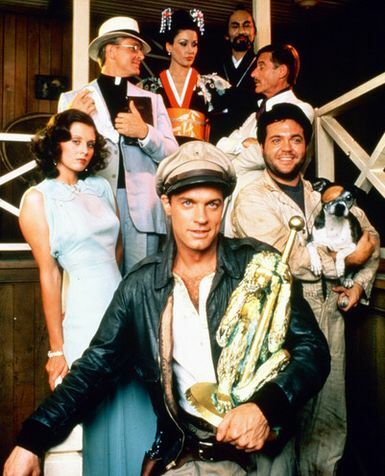 All in all, pretty dope tv show. Sorry if I went overboard, I’m a huge fan of Gargoyles and anything Greg Weisman is connected with. Listened to this one today. Brought back some great memories! 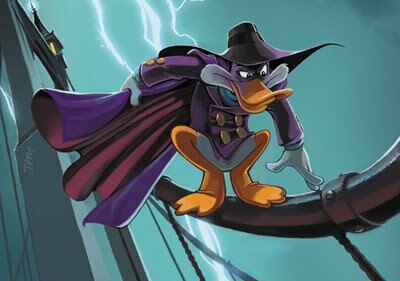 I loved the Disney afternoon. For me it goes 1) DuckTales 2) Rescue Rangers 3) The Rest. 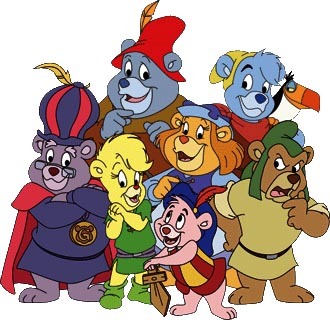 I watched all of them but it was mostly DuckTales and Rescue Rangers. Those were my 2 favorites by far. Love those NES games too. DuckTales is one of my absolute favorite NES games. TOTALLY forgot about the Junior Woodchuck Guidebook too. Hilarious!